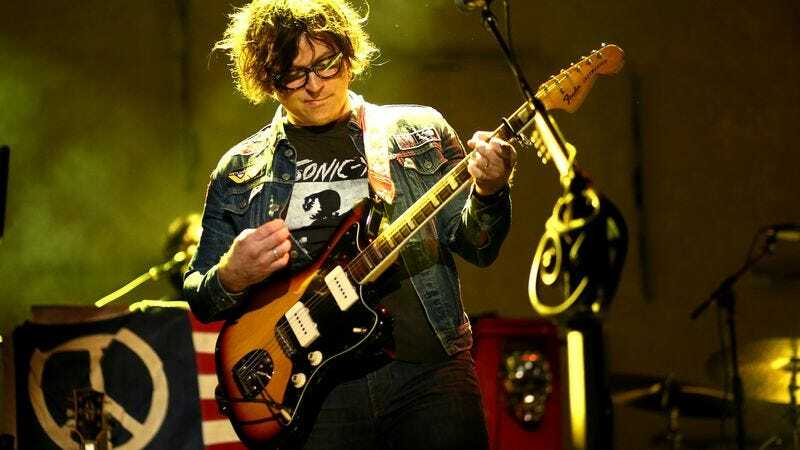 Ryan Adams has been threatening an album of new material since September, and now we have an official release date. While initially slated for a November release, his latest record Prisoner—featuring producer Don Was—will be hitting store shelves February 17 via Pax Am/Blue Note/Capitol. The singer/songwriter previewed the album at a surprise gig at Sydney’s Factory Theatre on December 5, and the first single, “Do You Still Love Me,” at least partially influenced by Adams’ separation from singer Mandy Moore, is now streaming via Apple Music. Back in September, Adams teased that his latest record would feature guitar tones “akin to Bachman Turner Overdrive and ELO” with an AC/DC influence. The single doesn’t necessarily display any blatant nods to Randy Bachman or Jeff Lynne, but recalls the Long After Dark era Tom Petty-esque “Gimmie Something Good”—produced by Adams along with power pop mastermind and “That Thing You Do!” vocalist, Mike Viola—with a strong organ presence and chunky power chords giving way to new-wave blues. Adams is currently on tour with a new band, and while old favorites will be in the set, the new album is taking center stage, and will be played in its entirety each night. “The whole new record is playable front-to-back in a way that I think isn’t gonna bum anybody out,” Adams says. Prisoner is due out February 17.